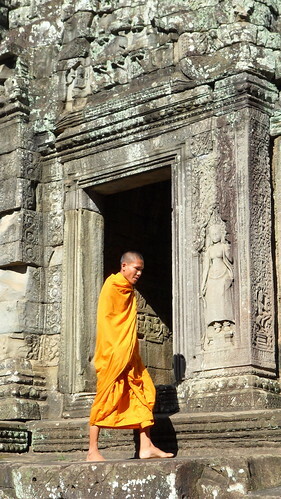 My day at Angkor Wat was enhanced when a group of monks showed up. I chased them around trying to get a great shot. This is one of my favorites from that day.